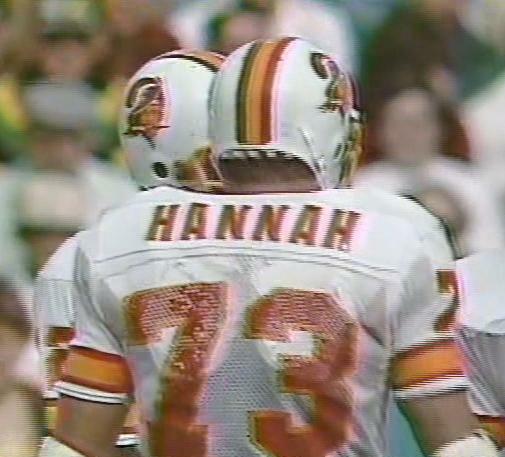 Another number that has been shared between the offensive and defensive lines during the years including one player, Charley Hannah, who did both roles during his six years with the Buccaneers. 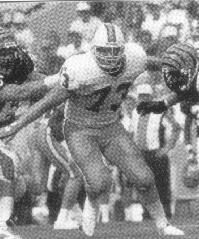 For those Brad Culpepper fans out there, he did his best work in the 77 jersey that he switched into before the 1996 season when Mark Wheeler moved on, leaving the best-ever No.73 to be the feisty and scrappy Ron Heller. 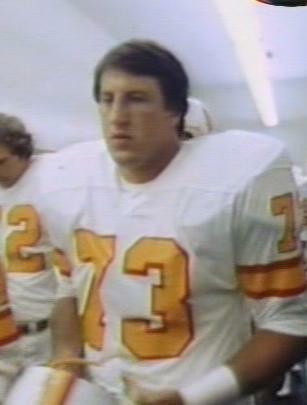 If only Ray Perkins had not been so stubborn and downright stupid during 1987, Heller could have been holding up the right tackle position for a full decade in a Buccaneer uniform, instead of him plying his trade around the NFL. 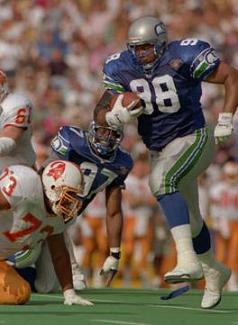 Tom McHale was a convert from defense to offense after his rookie season and switched to No.73 at that time, whilst Regan Upshaw only wore the number during his rookie season of 1996. 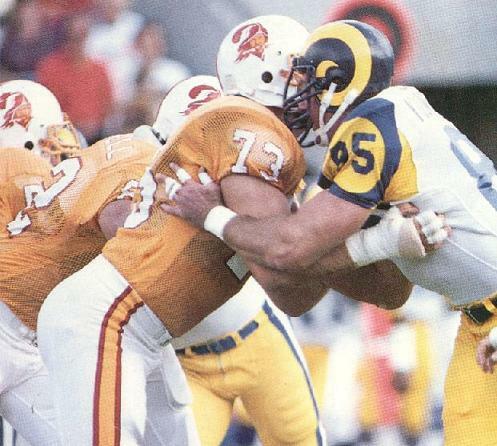 And as for Frank Middleton, if trash talking had been a Pro Bowl category, then the Bucs' guard would have been an ever-present in Hawaii. Recent wearers of the jerseys have not been well recognised or notable for on-field performances including the free agency busts that were Anthony Collins in 2014 and JR Sweezy in 2016 meaning Ron Heller could keep this honour for some time to come.